Small business accounting software stores important transaction data, automates tasks, produces reports and can save you hours of bookkeeping time. The following list includes the best selections for small business accounting needs, based on a variety of criteria. Looking for help with deciding which small business accounting features you need? Learn how to choose small business accounting software for your business. NolaPro online accounting software offers the features needed by most small businesses and an easy-to-use interface. The company has a free version that works for many small businesses, and if you need more features, you can upgrade for as little as $9.99 per month. Accounting features in NolaPro include order entry, inventory, payroll, point-of-sale support, e-commerce tools, and the option to have separate books for multiple companies. Services for an additional cost include live 24/7 support, financial auditing, on-demand hosting, and customization for specific requirements. QuickBooks is popular accounting software from Intuit that has been around for years and is updated annually. The versions of QuickBooks range to those for self-employed individuals, which start at $5 per month, to small and large businesses. QuickBooks desktop accounting software has industry-specific versions and plug-ins to extend features, as well as a web-based version called QuickBooks Online. It also offers secure data sharing with an accountant and integration with Microsoft Outlook. QuickBooks Simple Start Online is specifically for very small businesses, and it starts at $10 per month. Features include income and expense tracking, receipt capture and organization, invoicing, payments, tax deductions, sales tax calculation and tracking, basic reporting and more. Sage 50cloud accounting software integrates easily with Microsoft Office 365 and syncs automatically with Microsoft Outlook contacts. It offers businesses the tools they need for expense management, reporting, sales optimization and more. It also offers a variety of add-on services, like payroll and merchant accounts. The cloud-based software also boasts automatic data backups and high levels of security, and you can get access starting at $46.83 per month. LessAccounting markets itself to business owners who hate the bookkeeping aspect of running a business. The web-based accounting software has been evolving with more robust features while keeping a focus on staying simple. 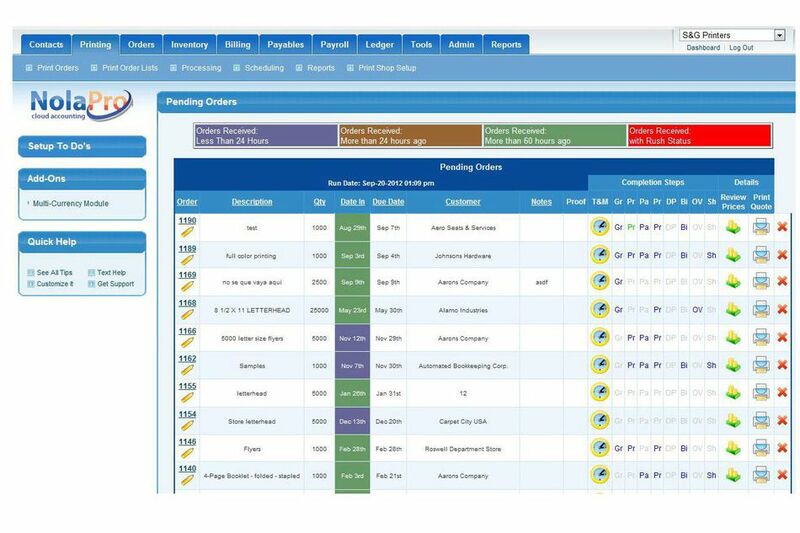 Features include contact management, sales lead tracking, business expense tracking, online invoicing, mileage tracking, reporting, and data sharing. LessAccounting offers unlimited entries, SSL encryption, and other data security measures. LessAccounting imports contact information from Basecamp, Highrise, and Gmail, and imports data from Quicken, QuickBooks or banks that support QIF or QFX data imports. Pricing starts at $20 per month for the basic version. NetSuite Financials is web-based accounting software from Oracle that also helps with managing many other aspects of a business. Depending on the version, Netsuite offers modules for finance, customer relations management, and marketing, payroll and employee management, website development and e-commerce. Aside from the various configurations and add-ons available, NetSuite's basic license costs $999 per month, with individual users at $99 each per month.